Sure, you can claim that if you’ve seen one shark movie (a.k.a. Jaws), you’ve seen them all. But one thing we’ve never seen, and maybe never knew we wanted (but deeply did): a Jason Statham shark movie. Until now. The film also stars Chinese actress Li Bingbing, (Transformers: Age of Extinction), Taiwanese actor Winston Chao, Rainn Wilson, Cliff Curtis, Ruby Rose, and Masi Oka. 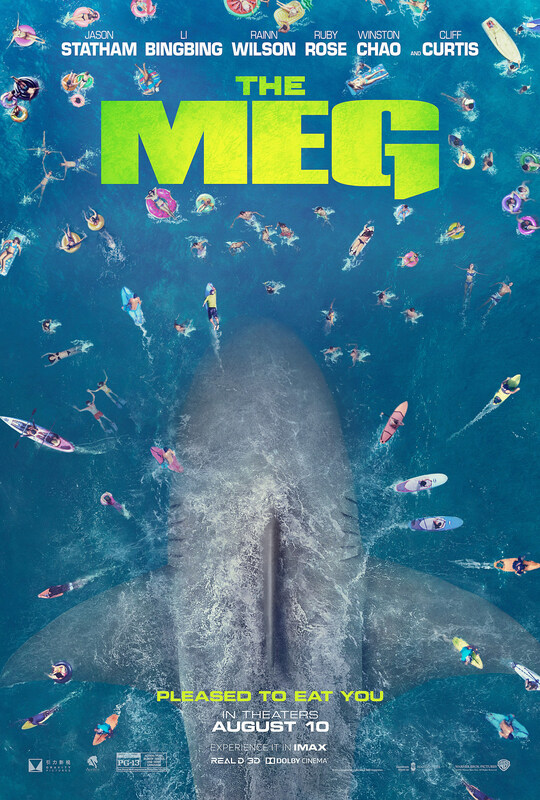 The Meg is here to scare you away from the beach on August 10. Check out the poster below.